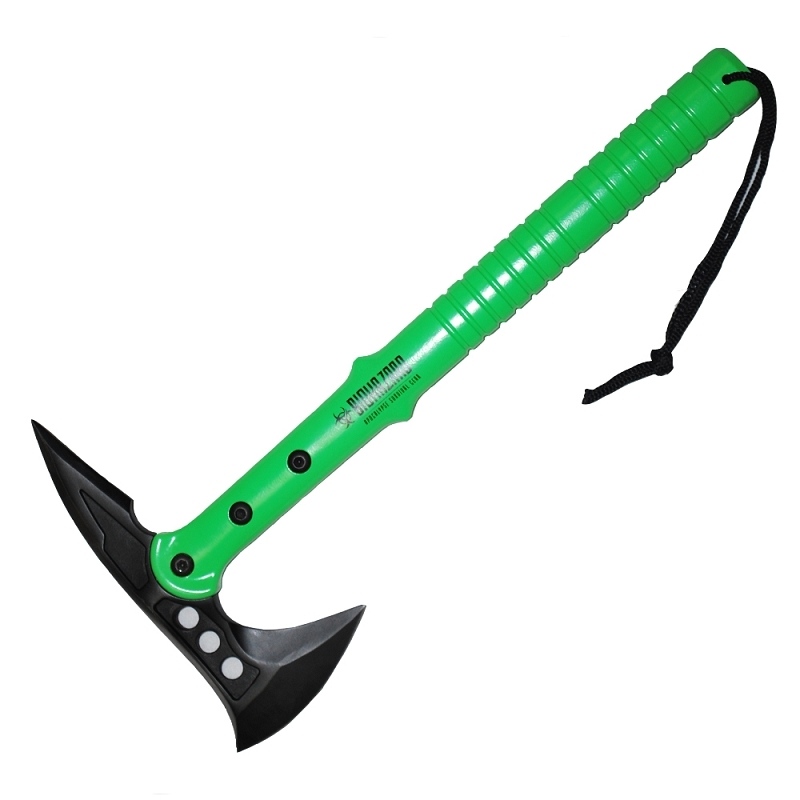 This M48 Apocalypse tactical tomahawk is the ultimate tactical weapon. It is lightweight to be carried all day without added muscle fatigue and the blade of this offers a wide, upswept axe blade for mammoth chopping, slashing and zombie cutting potential. The secondary edge on the back side of the head is specially sharpened on both edges for a cutting and hooking attack. 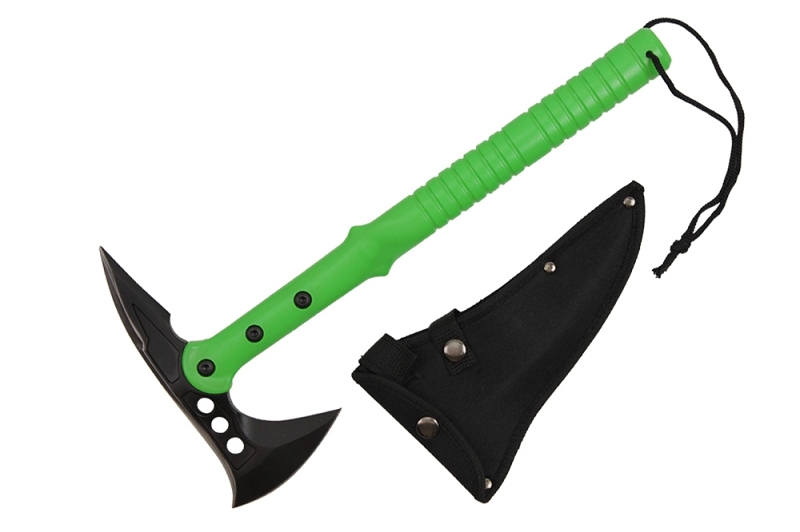 When combined, the spike and axe head make for an efficient personal defense and breaching tool against the zombie horde. The blade is securely attached to the durable reinforced handle with three separate bolts. Includes a durable nylon belt sheath with belt loop and snap closure buttons. 8" bl, 15" overall. Also comes in orange! !